In the last few weeks Wise DC has turned into a pile of rubbish. Despite settings having every single piece of internet cache set to be deleted (except only for saved form and passwords for Firefox) it is failing to delete 80% of Firefox and Opera cache. I now have to rely on CCleaner to do the job properly. I made a quick test with both (only firefox entries enabled). 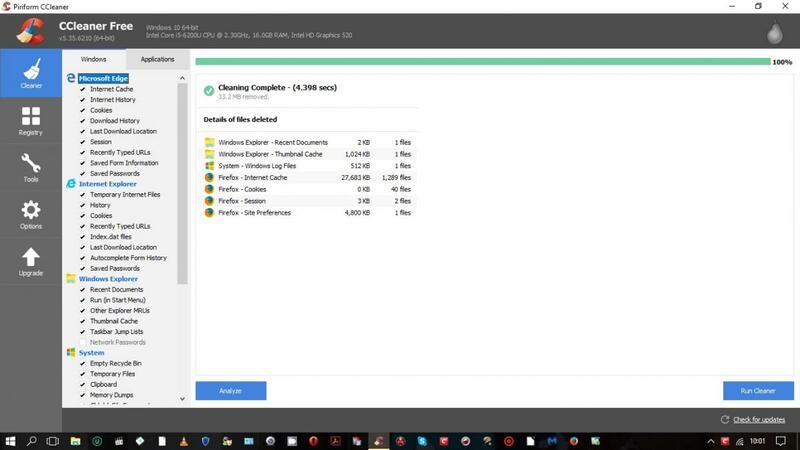 CCleaner found 60 files and 6 cookies. 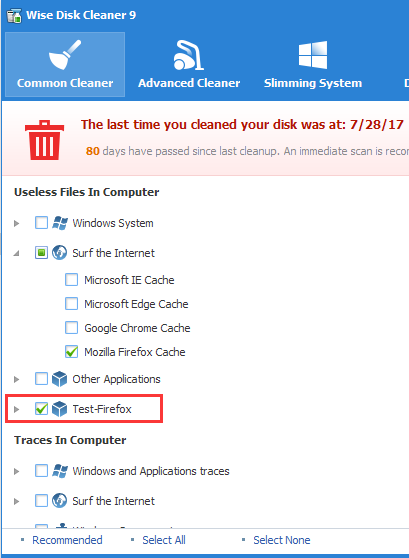 WiseDiskCleaner found 56 files and 4 cookies. Imo, not a big difference. Later, I fixed those items with WDC, then analysed again with ccleaner and it didn't find the items removed by WDC (it found the items that WDC didn't find, obviously). 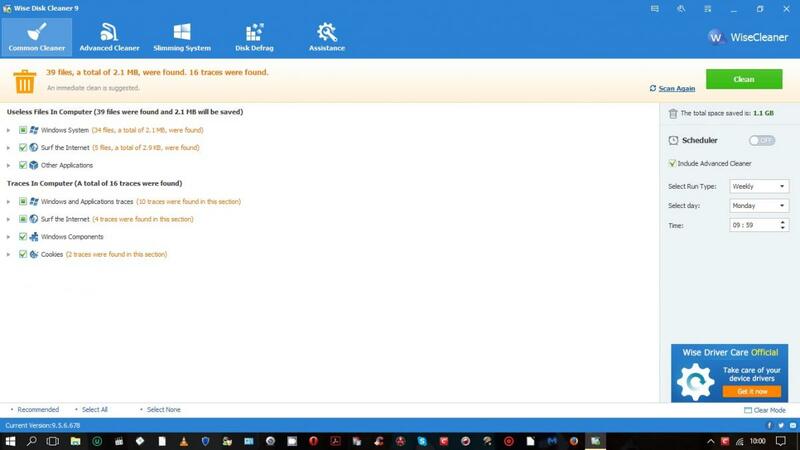 Using Win10STD x64, firefox 56.0 x64, WDC 9.5.6.678 portable and Piriform CCleaner 5.35.6210 free portable. I have tested both cleaners again and these screen shots are after a very short period of surfing the net. The shortfall in WDC cleaning is very significant. Much more than your examples. I emphasise that this is a very recent discrepancy so clearly something has changed in WDC. I'm using the portable version, but I have now tried the installed one. It also finds firefox cache. Did you already try these ones? 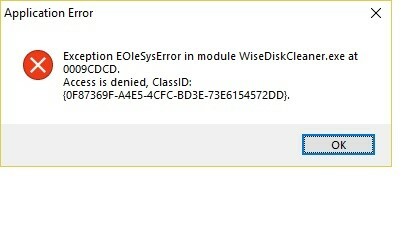 check if "C:\Program Files (x86)\Wise\Wise Disk Cleaner" folder is still present (it should be removed by the uninstallation). check if "C:\Users\YourWindowsAccountName\AppData\Roaming\Wise Disk Cleaner" folder is still present (it should be removed by the uninstallation). I've used both versions and WDC is still not cleaning even 30% of the cache selected in these past three weeks. I have tried a total clean uninstall, system restart, check folders, reinstall. Did you also try wise care 365 (free)? That suggestion defeats the object of this thread. EDIT: Just to humour the suggestion I installed Wise Care and lo and behold after running the Common Cleaner with the same settings, it found just 11mb of cleaning. CCleaner found a further 146mb. Well, that's a strange behaviour. Hi Wesley909, thanks for you feedback. 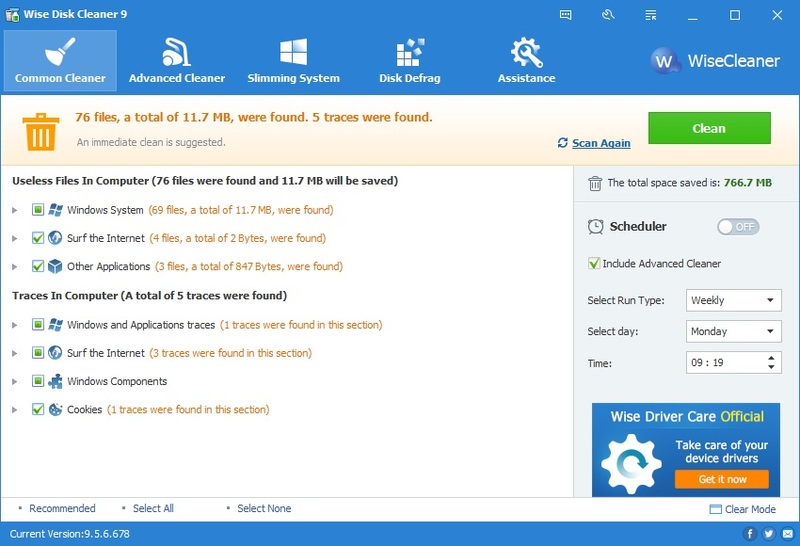 We did many tests in 6 computers, there were only small differences between Wise Disk Cleaner and CCleaner. Can I remote to your PC to check it? 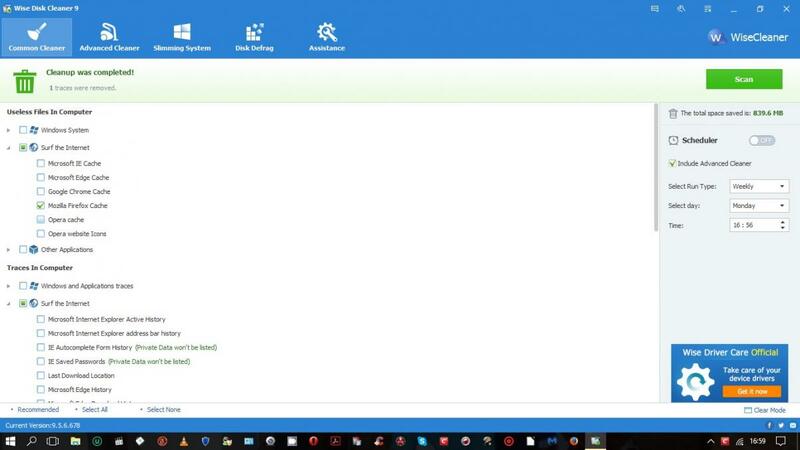 Here are two screenshots of cleaning I ran a few moments ago showing that Wise Disk Cleaner found about 12mb, CCleaner found 94mb. Both had exactly the same settings for what cache to remove. I don't allow remote access to my system I'm afraid. 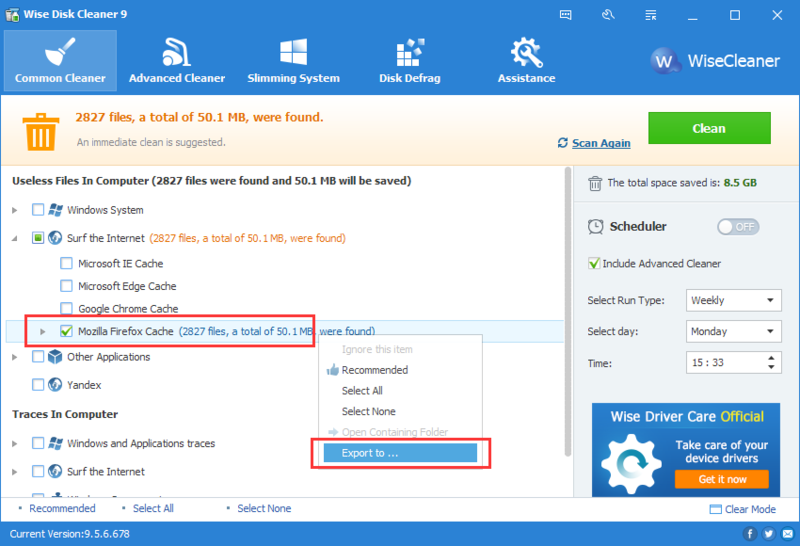 Please send scaning reports to us, we will try to check the difference between Wise Disk Cleaner and CCleaner. When you run Wise Disk Cleaner, you will see the additional test entry. Thanks. I did that and that files shows in my WDC as it does in your screen shot. 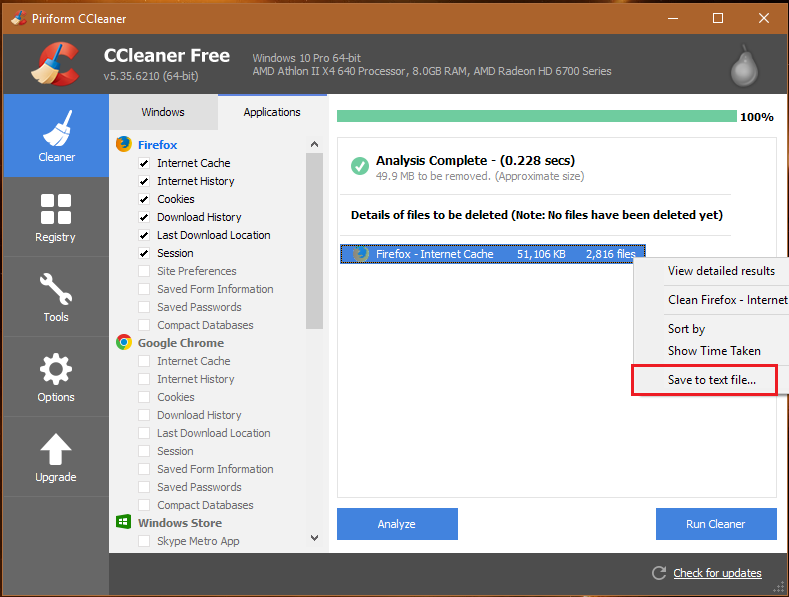 It still finds almost no Firefox cache, as before, compared to CCleaner Slim. Please open a folder, type this path %appdata%, find and remove this folder Wise Disk Cleaner. Then try to scan Firefox cache again. I did try that originally. But I have tried that again and it made no difference. Please download this file (WiseDiskCleaner20171017.zip), extract and paste them to wise disk cleaner installation folder to cover old files. Then open this folder %appdata%\Wise Disk Cleaner, send wdclog.txt to us. Thanks for the below and work issues caused a delay in replying. We released a new version today, please update and check it. I've updated it and it is no different. 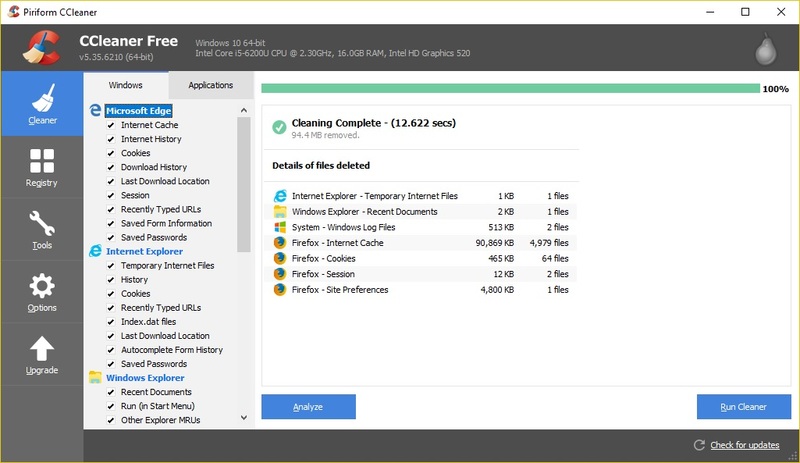 CCleaner is still finding over 100% more cache than Wise, so I'm going to stick with CCleaner. It is too strange, we already fix a minor bug of cleaning Firefox Cache files. 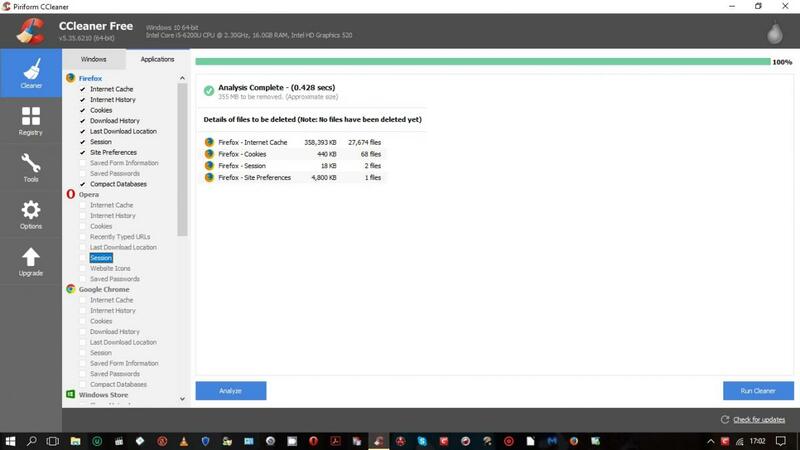 Can you export CCleaner scan report and send it to us? (only scan Firefox). It is useful for analyse.